We specialize in disaster cleanup and recovery. Please call us when you are dealing with one. You want to make sure all of the water is extracted and dried so no mold will grow. Please call us, SERVPRO of North Oakland County! Whether it's at home or at work... water can do some major damage. And, who better to call? SERVPRO of North Oakland County!! 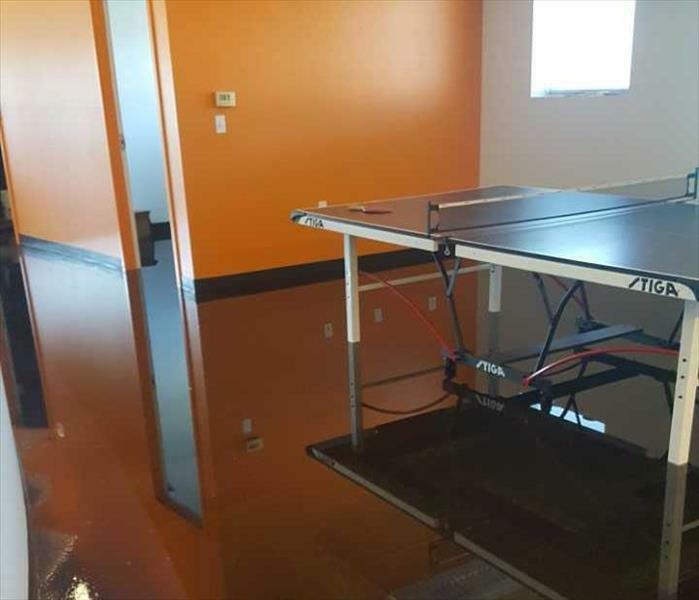 We're here to help you when you have water damage at home or at work. 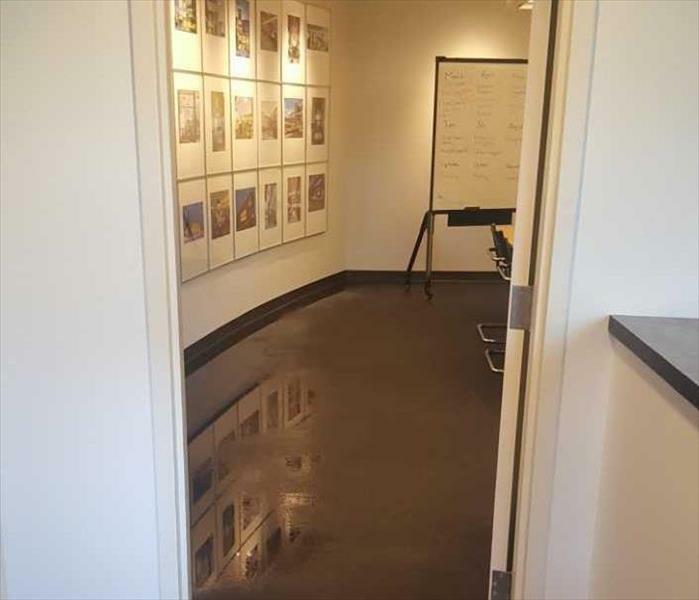 This engineering contractor & architectural firm had to have all of it's files moved to the other half of their building in order for us to extract the 2 inches of water that covered their floor. In Berkley, MI. This was a business in Berkley, MI. A urinal ran over the weekend, unnoticed and when Monday came around... Wow. What a surprise! 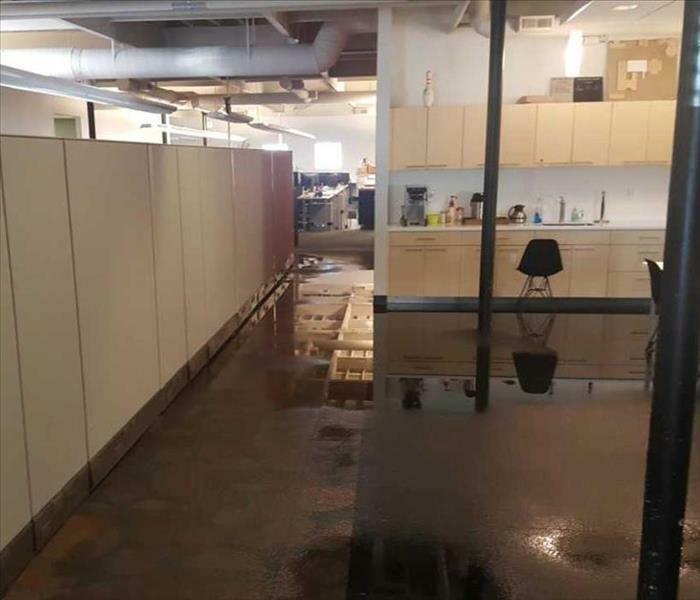 Water was everywhere covering half of their building. This was "clean" water, but still a very large mess. This fire was in Birmingham, MI. After the fire was started, the home sprinkler system was activated and the whole home had water and smoke damage. Big loss, but we came through for the client. This was after Hurricane Irma in 2017. This house was full of water. Yikes!! 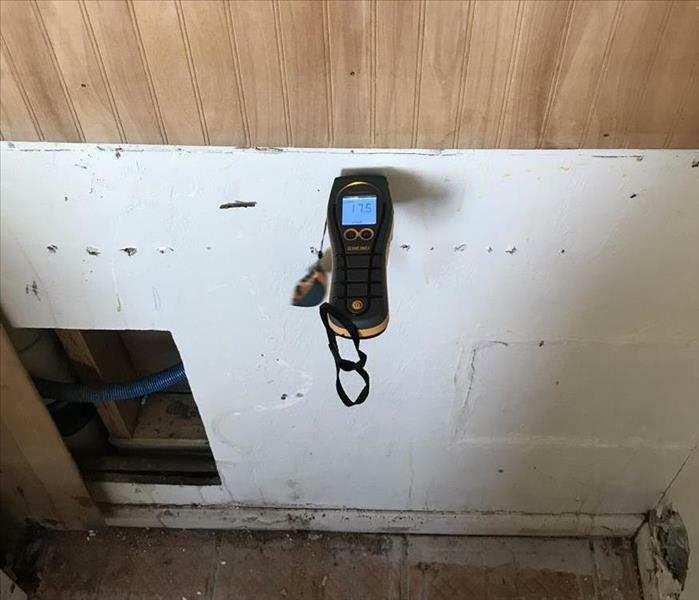 We have the equipment on hand that measures the water or moisture level in walls and flooring. 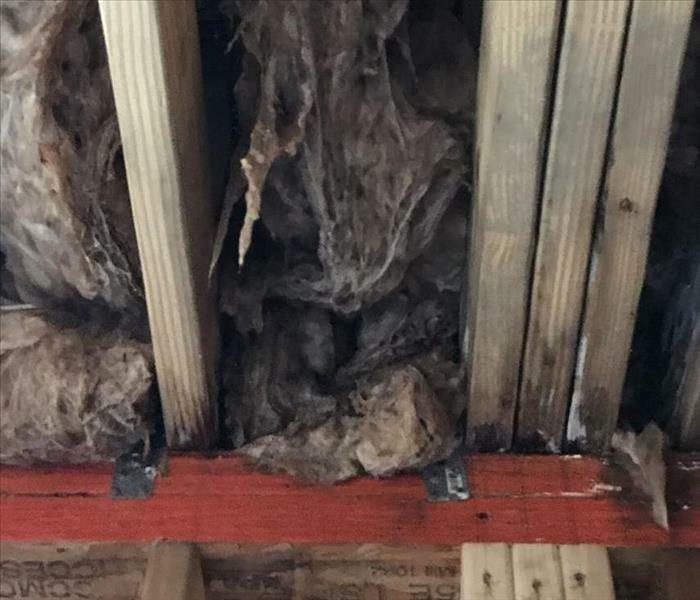 If you can't contain mold early, you're in for a lot of trouble. 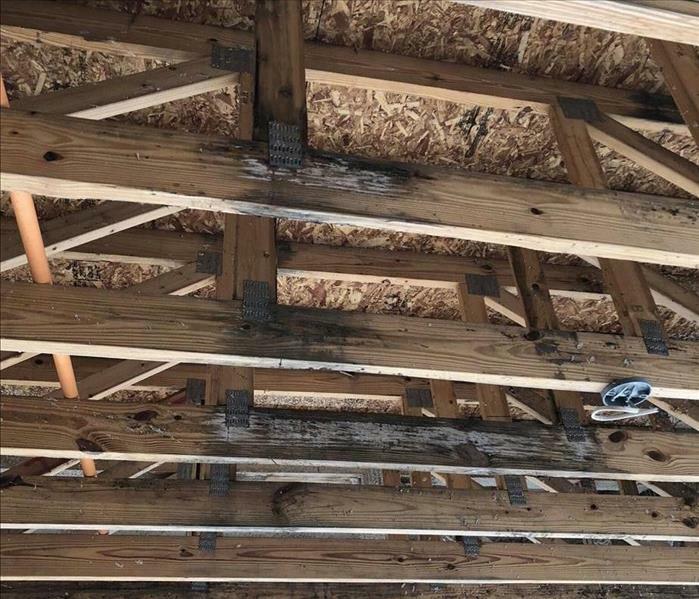 This was also on a new construction site, but we were able to remove the mold properly so that the contractors could move forward with their work. 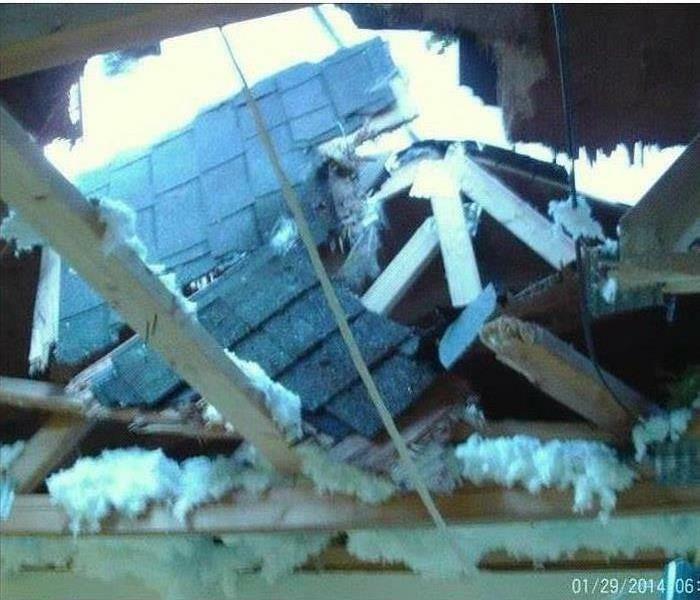 This was a condo being built in Oakland County and after a pause in the work, somehow mold spread very quickly. 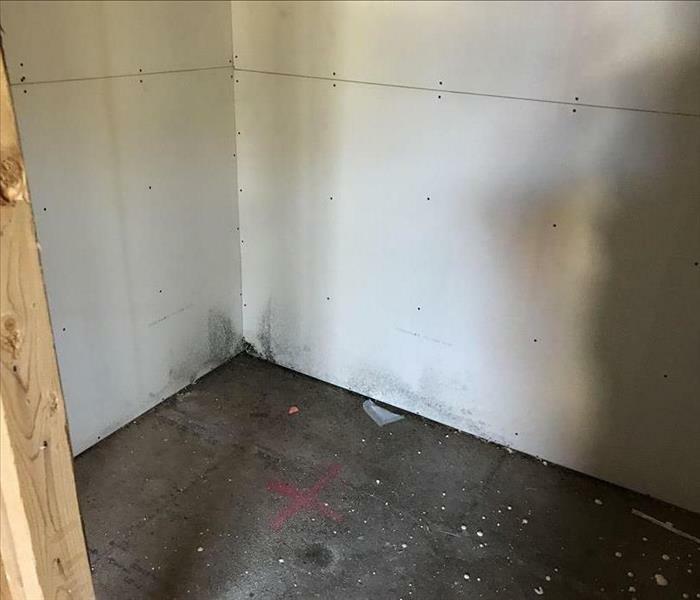 We were able to contain the very large area, get the mold removed and cleaned so that they could finish. 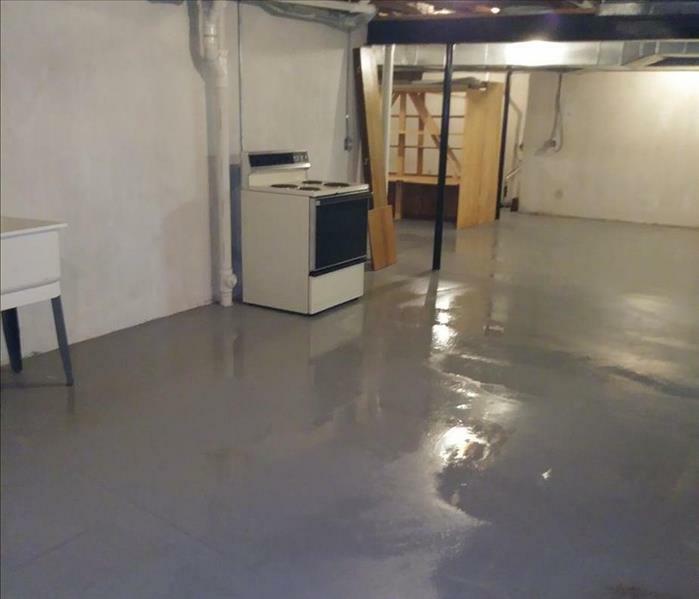 This is in the basement of a home and water from the kitchen leaked into the basement. 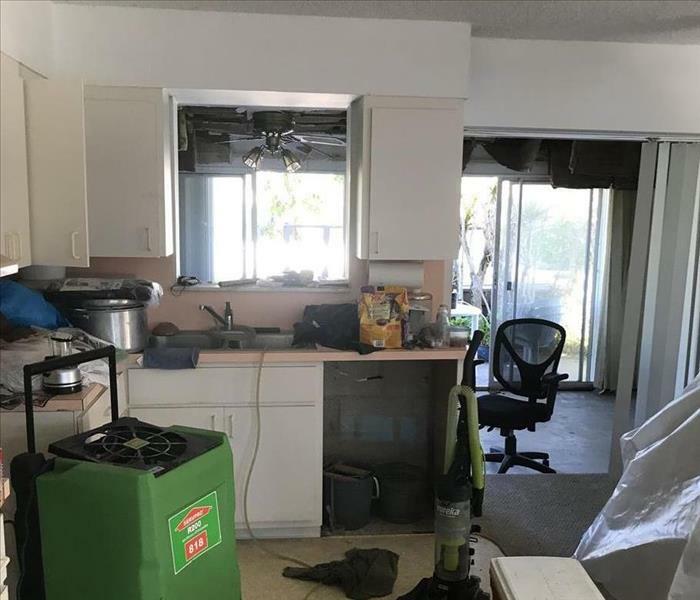 The initial loss was from a water line that led into a refrigerator and the line became unfastened and leaked all over the kitchen floor. 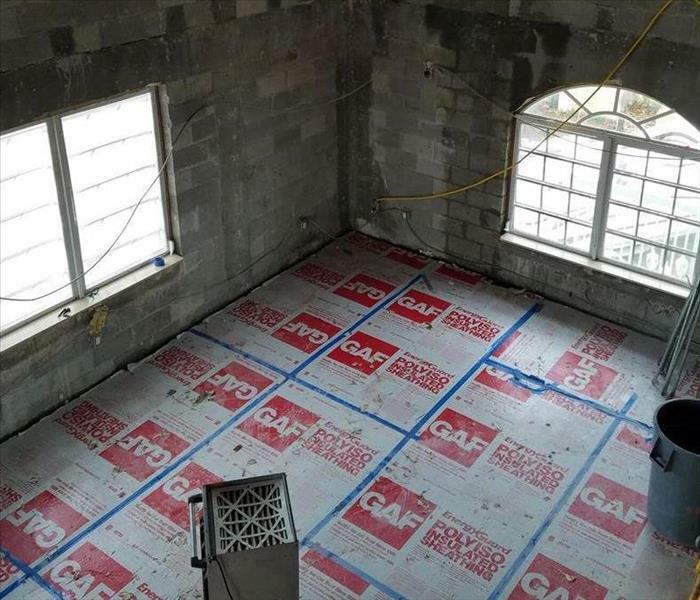 We saved the ornate tiles for a client in Florida after Hurricane Irma came through. 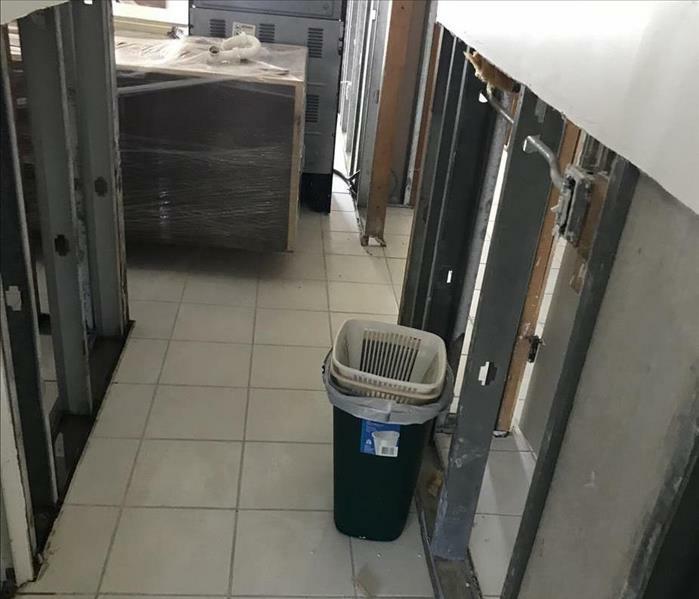 Since the tiles weren't damaged, we were able to cover them properly and protect them while we worked on everything else. 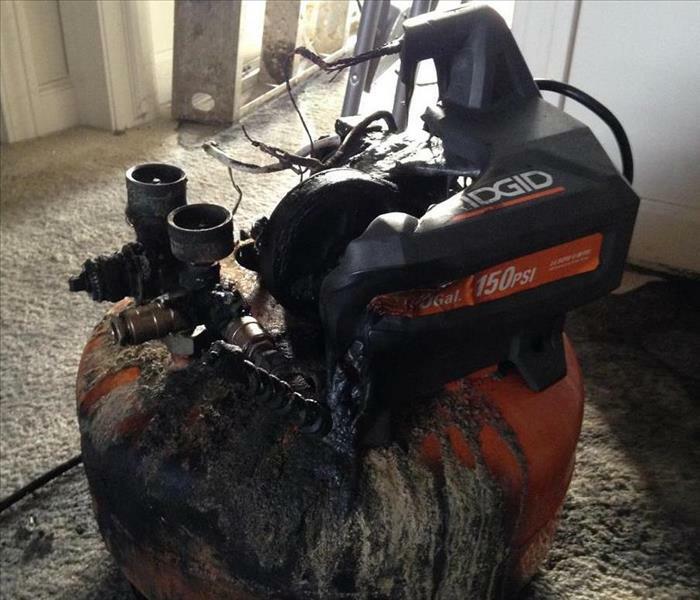 This air compressor caught fire and burned. 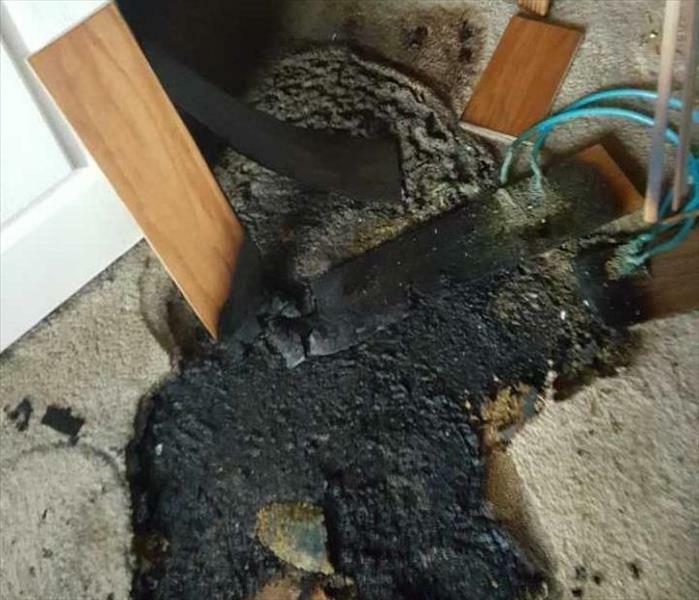 The home water extinguisher system was triggered and it saved the home from a complete burn, but the water and smoke damage and overall loss was severe! This is the finished look at a car dealership. 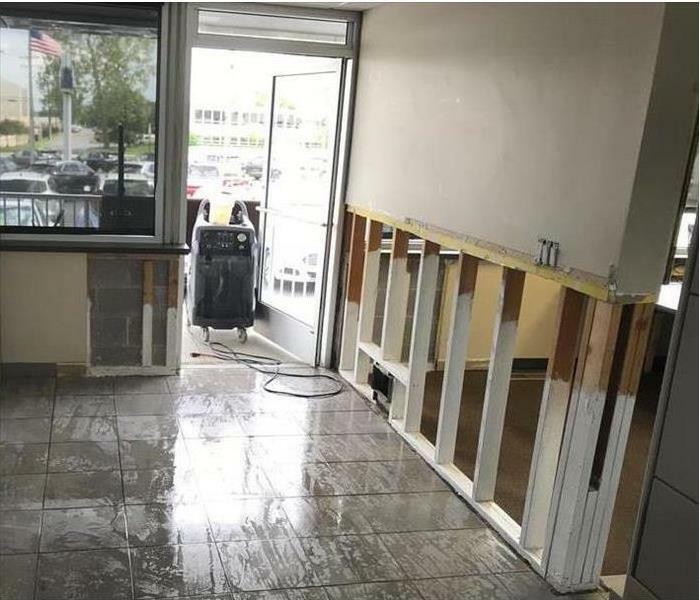 They had MOLD in a few of their walls after rain had leaked through their dealership ceiling. We removed it no problem. Call us today! 248-439-1160. This is the aftermath of a leaking AC unit above a client's bed. 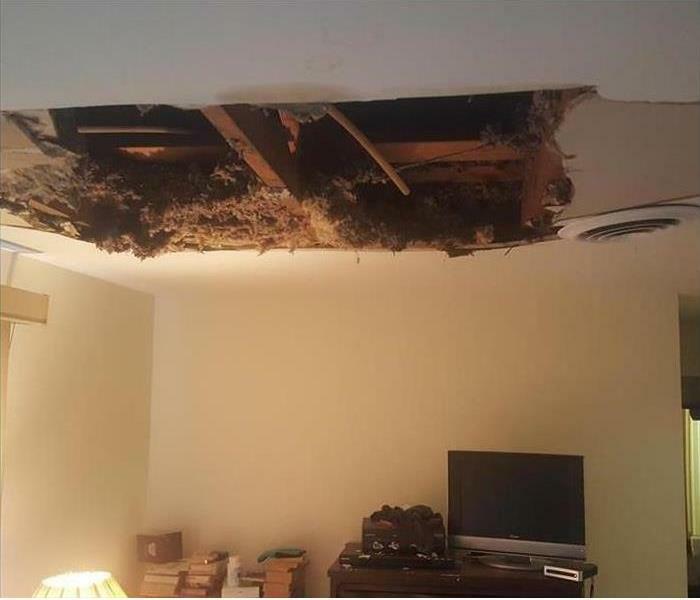 SERVPRO of North Oakland County came in and helped clean up the mess and fix the ceiling after the AC unit was replaced. 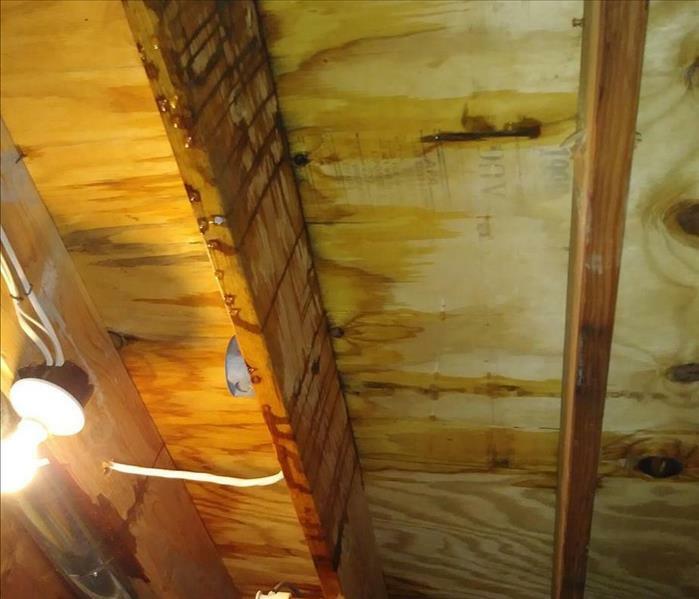 When responding to a fallen tree and a water damage emergency, we begin with a detailed inspection of your home or property, including a damage assessment. At this stage, our professionals are trying to determine the scope of the damage so that we can develop an appropriate plan of action. You can never be too careful when cooking in the kitchen. This was a result from using a deep fryer in the kitchen, causing a pretty significant loss. 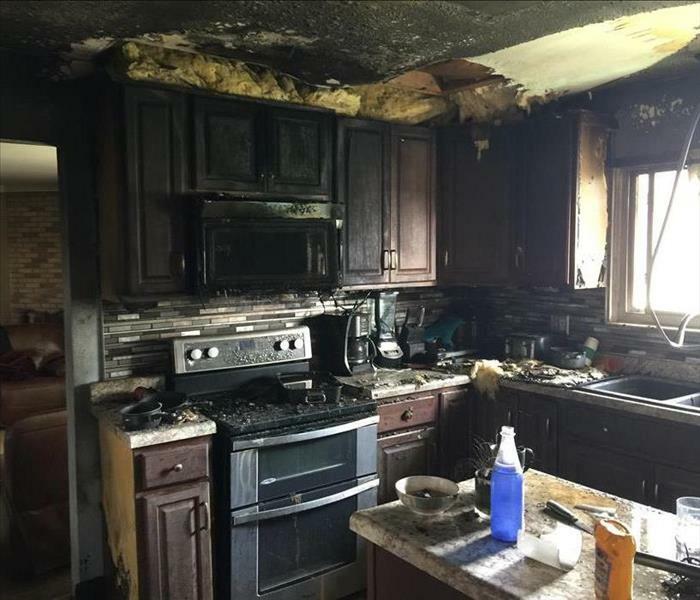 The kitchen was destroyed and the ensuing water and smoke damage was severe throughout the home. 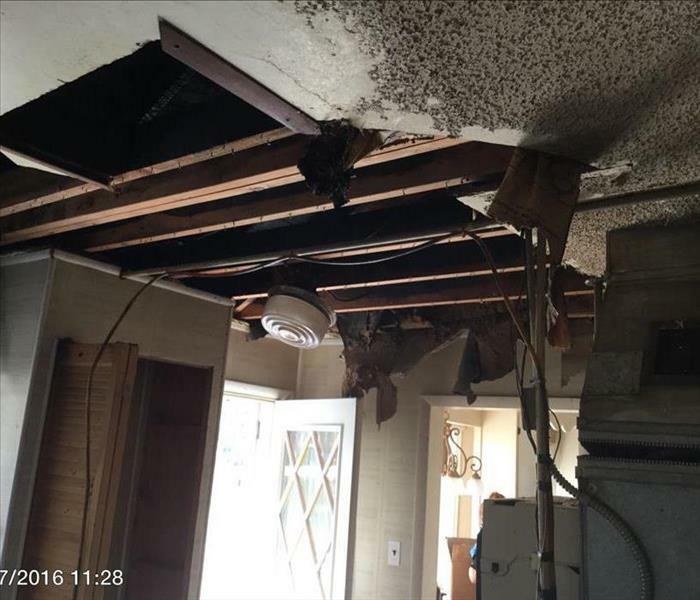 This is a picture the foyer area of a home due to a water damage from the upstairs bathroom. 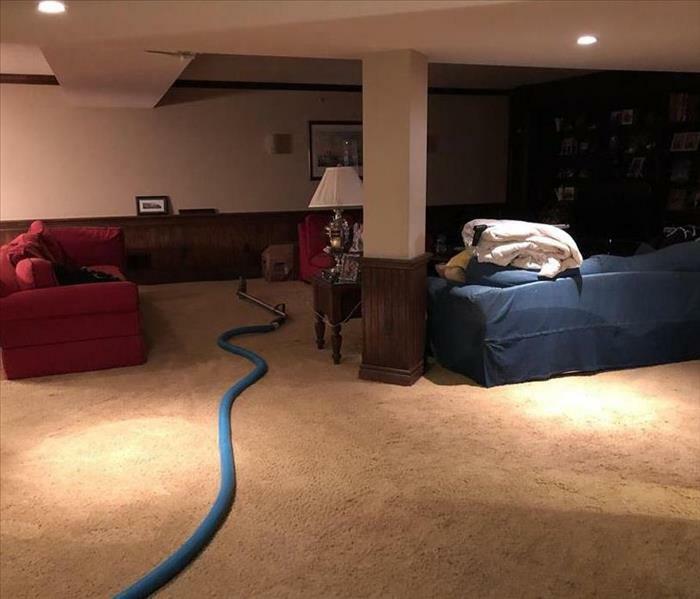 This burst pipe caused widespread damage throughout the home. 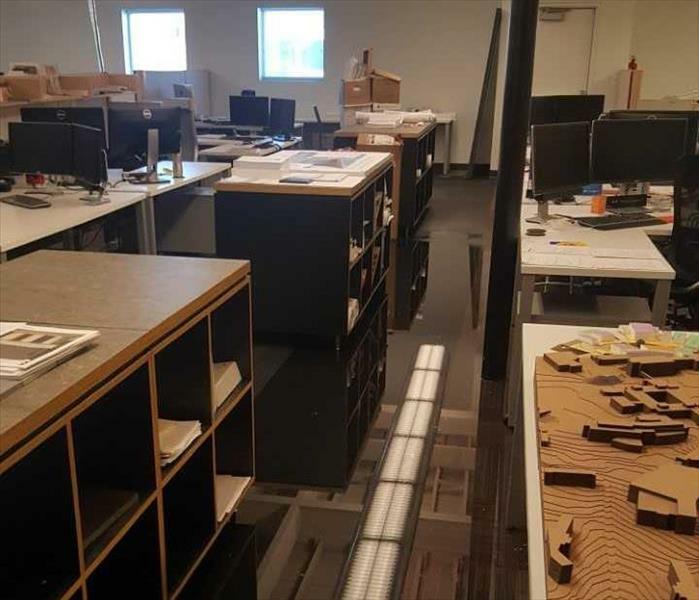 All ceilings and walls were effected. 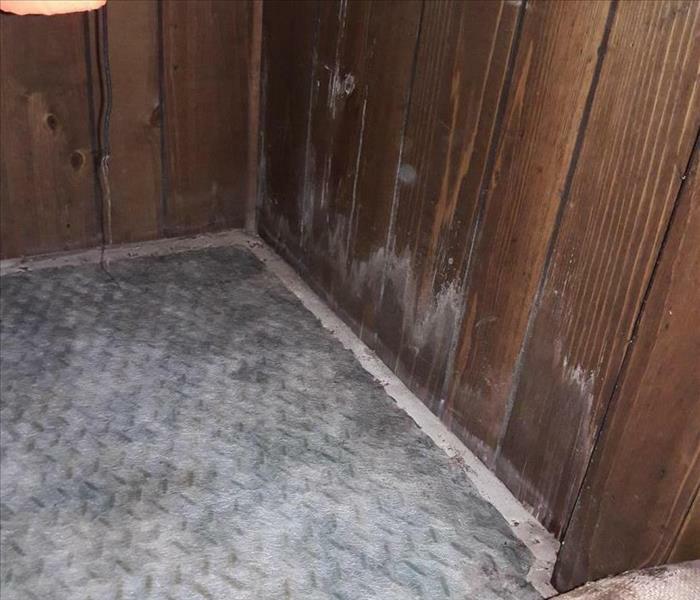 Regardless of the "type" of MOLD you discover in your home or business, use caution. Many mold types cause irritation or allergens. Do not disturb or touch the MOLD. Please call SERVPRO of North Oakland County - 248.439.1160 Your Mold Remediation Experts!! 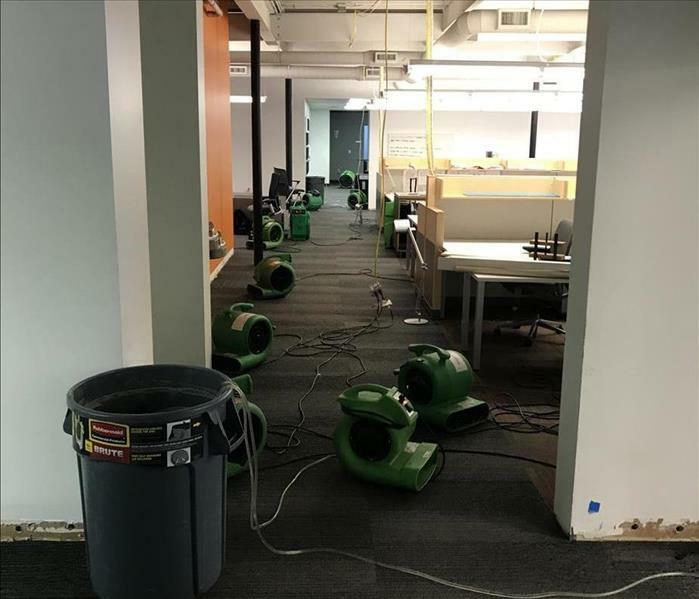 Anytime your Business is interrupted with a Loss, whether it be from an overflowing urinal, ice maker water line, OR inclement weather that brings Wind, Rain and Flooding, you feel like there is a personal storm raging. The hours spent dealing with a loss means downtime, less productivity and loss of revenue. 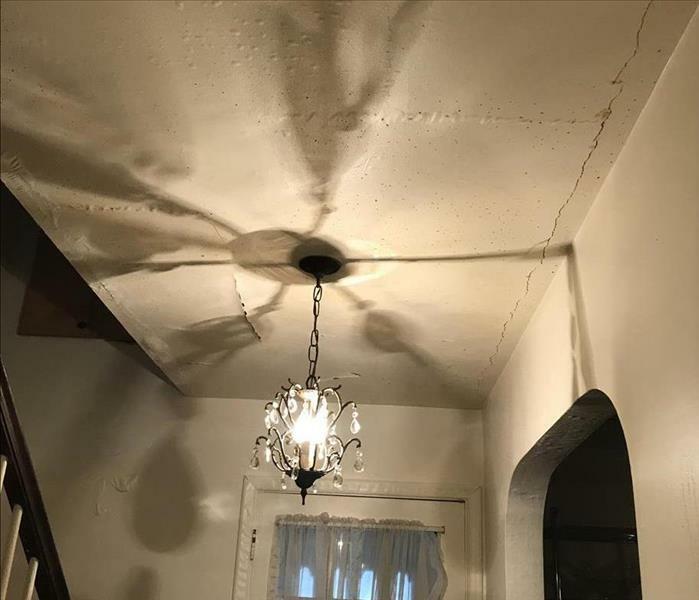 When a fire damage happens, we recommended that you limit the foot traffic in the home to prevent soot particles from being transferred to areas of the home not effected with soot damage. This also helps prevent particles from embedded in the carpet. The use of clean towels or old linens on high traffic areas is very helpful as well.